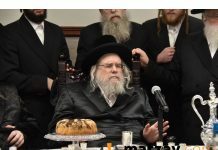 A talmid of Yeshivat Ateret Torah in Flatbush, Brooklyn, was chagrined to find that his expensive new bicycle was stolen from right in front of his yeshiva. 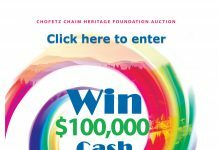 The boy’s father, Ezra Dayan, told Matzav.com that his son’s Raleigh Talus was stolen from East 9th Street, between Quentin Road and Avenue P, adjacent to Ateret Torah. 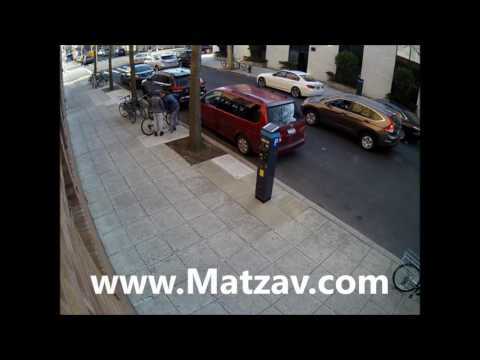 Matzav.com obtained surveillance footage of the incident. The video shows two thieves approaching the bike and then getting to work on breaking the lock and making off with the bike. The men, one of whom was wearing a hooded sweatshirt, walked right over to the bike, suggesting that they knew exactly which bicycle they wished to steal. Anyone who recognizes the thieves or can shed some light on this theft is asked to contact Matzav.com or Flatbush Shomrim. Why is the hooded guy standing over the other one while he’s trying to break the lock? he is making it look unsuspicious. duh! How did they manage to break the lock in under 90 seconds? the question who buys their kid a expensive bike in Brooklyn and not expect it to get stolen??????? You guys are the uncoolest. Unfortunately, very unfortunately and sad, you NYorkers and Jerseyites are blind to too many things. Why does the kid have such a targeted bike that justs asks for more trouble than the supposed benefits of hollow rewards of gatchmius? Your ignorance of the possibility that other people have intelligence, feelings, and even a worthy soul is news to you – and a major reason for our overall downfall – thank you very much baal gaivas. Staying the Torah coarse is the ONLY thing that keeps us living. The place is a jungle. Goodness.